Eighteen delightful holiday short stories by some of your favorite Soho Crime authors! 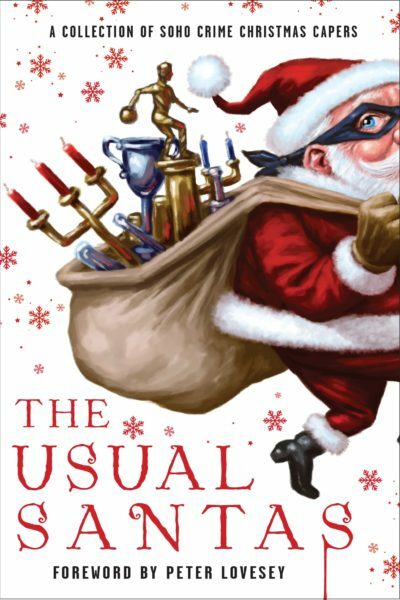 This captivating collection—which features bestselling, and award-winning authors—contains laughs aplenty, the most hardboiled of holiday noir, and heartwarming reminders of the spirit of the season. Nine mall Santas must find the imposter among them. An elderly lady seeks peace from her murderously loud neighbors at Christmastime. A young woman receives a mysterious invitation to Christmas dinner with a stranger. Niccolò Machiavelli sets out to save an Italian city. Sherlock Holmes’s one-time nemesis Irene Adler finds herself in an unexpected tangle in Paris while on a routine espionage assignment. Jane Austen searches for the Dowager Duchess of Wilborough’s stolen diamonds. And other adventures that will whisk readers away to Christmases around the globe, from a Korean War POW camp to a Copenhagen refugee squat to the streets of Thailand. Buy from Soho and Save! –Mystery Scene, "2017 Gift Guide"